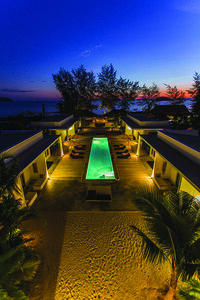 The best boutique find in Sihanoukville, the Tamu Hotel boasts funky clean rooms and a great spot on the beach, which is quieter than other areas. Think Beach chic. 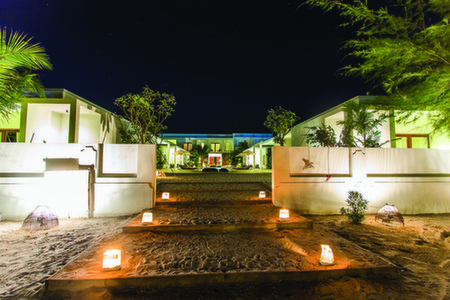 It has finally happened - a brand new boutique hotel has opened on Cambodia's southern shores. 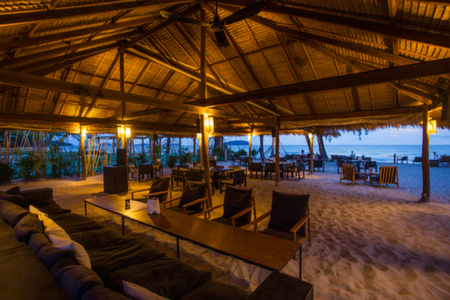 In an area that is plagued by backpacker haunts and hawkers, there has been little in the way of quality hotels in Sihanoukville. But at the end of 2013 the Tamu Hotel on Otres beach (a much quieter beach than the main drag) re-opened after an extensive refurb. The results? 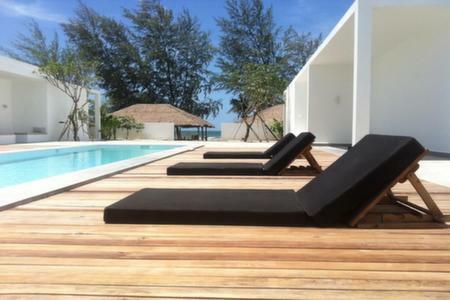 A funky, minimalist, stylish hotel on a pristine stretch of beach, with a lovely swimming pool and beachside restaurant. The hotel has three types of room on offer; Standard, Superior and Deluxe. The Standard Rooms are smaller but still spacious enough. 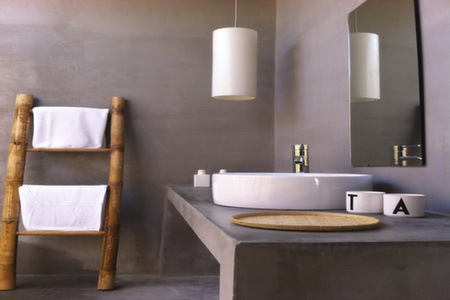 They are located on the ground floor with a private terrace outdoor bathroom - pool view and direct access to the pool. There is also some Standard Ocean Rooms on the first floor. 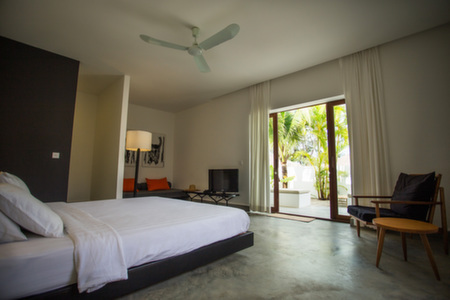 The Superior Rooms are slightly larger with indoor or outdoor bathrooms - the ones on the ground floor have private garden areas whith daybed while the ones on the first floor have private balconies with chair. 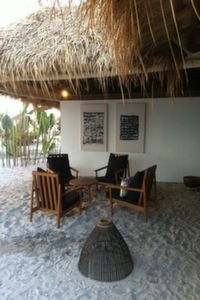 The Deluxe Seaside rooms are larger still with a private garden next to the beach, outdoor bathroom and sofa lounge. 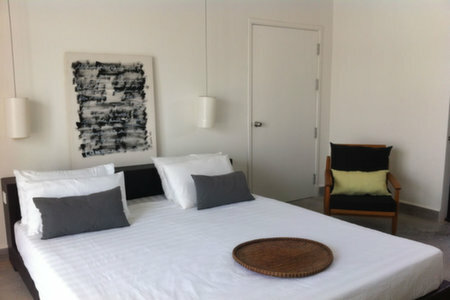 This room can be connected to a standard room for families. The hotel also has one Suite Room, which is twice as large as the Superior Rooms with a pool and sea view, indoor bathroom, sofa lounge, and a long private balcony - located on the 1st floor. The Tamu Restaurant spills out onto the beachside and offers a good mix of European and Asian food - expect to find everything from Club Sandwiches and tuna sleds to grilled swordfish and chicken Teriyaki skewers. It is very popular and attracts outside guests from up and down the beach. There are plenty of activities to do in the area. On the beach you can enjoy snorkelling, windsurfing or sailing boat. We can arrange day trips to beautiful nearby islands as well as Ream National Park, which has great jungle foliage and a lovely beach. 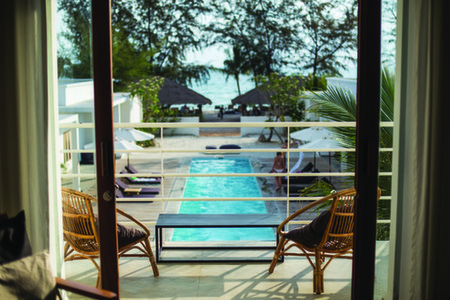 The hotel is about 11 miles from Sihanoukville Aiport and approximately a four-hour drive from Phnom Penh. “We absolutely loved Tamu. The location was great, rooms were clean and comfortable, beach was beautiful and the service (particularly at the restaurant) was excellent. Nori and Sammy who worked in the Tamu restaurant were lovely and the food was great! We wish we had an extra day or two there.” - Tracy H, Nov 2015.